CoinCap shows the ranking of cryptocurrencies according to the conventional details such as the market cap, price, amongst others. 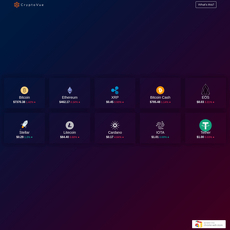 The first information you would see is at the top of the site, and it contains certain details about the values of Bitcoin, Altcoins, Dom index, the exchange volume and the likes. CoinCap also has a provision for a number of non-English speakers, hence, the site can be viewed in popular languages such as Espanol, Portuguese, and many more. Also, there is an empty space tab which allows you to search for any coin of your choice, and the result would be displayed as expected.